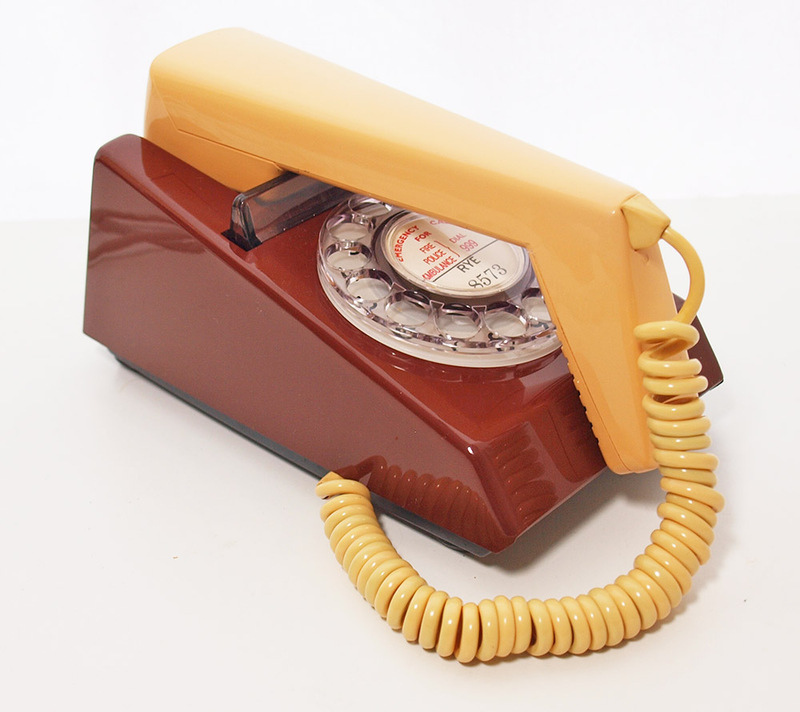 Rare Snowdon Brown/Beige dated 1982. 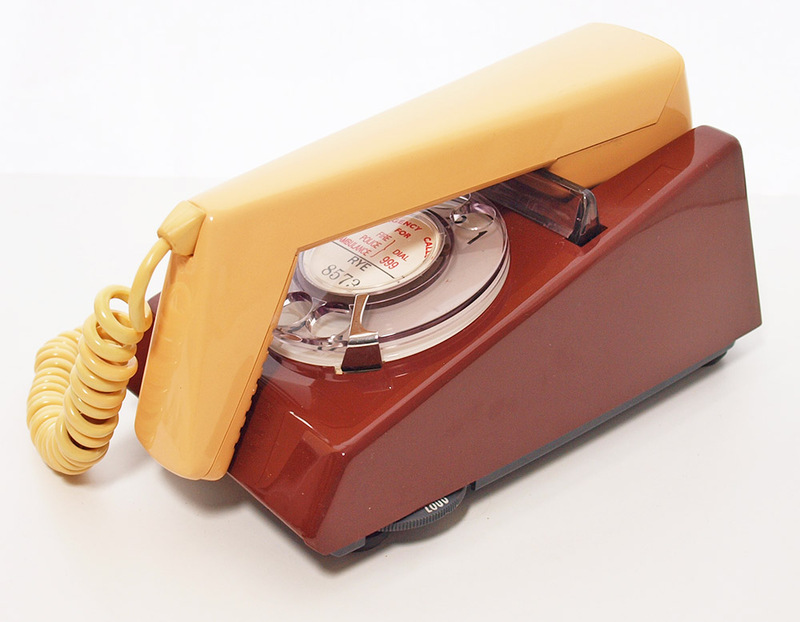 As the popularity of the Trimphone reduced and BT realized the had many thousands is stores they introduced a new range of colours to pep up sales and save them scrapping many thousands of pounds of telephones. They bought in Lord Snowdon to produce a new funky range of colours and re cased existing stock and re boxed them. They were not a great success and so now quite sought after by collectors etc. I have fitted it with an electronic microphone as the original carbon one was never very good and crackled and faded in and out. 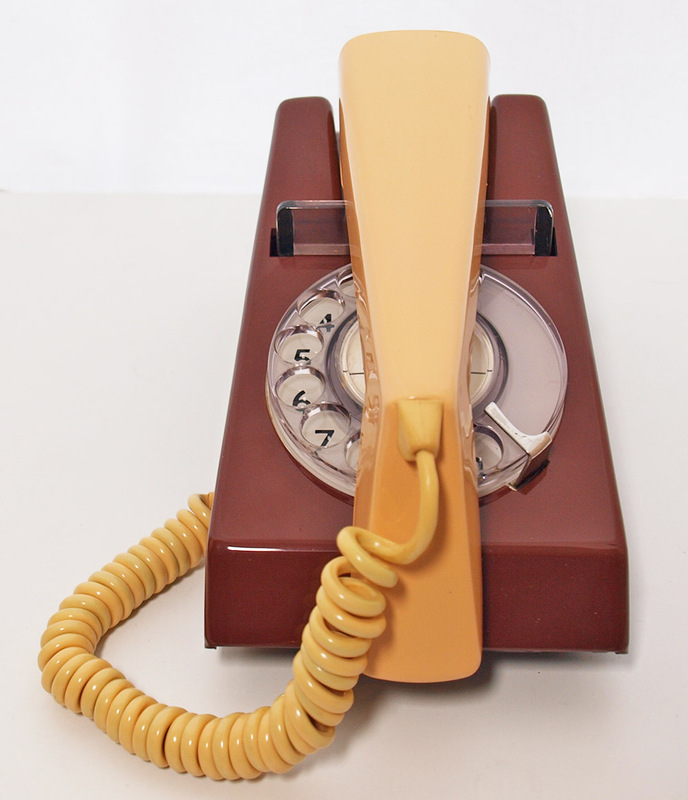 I consider this an essential modification if you want to use it as an every day telephone. These are fiddly little varmonts but once modified give fabulous sound quality. 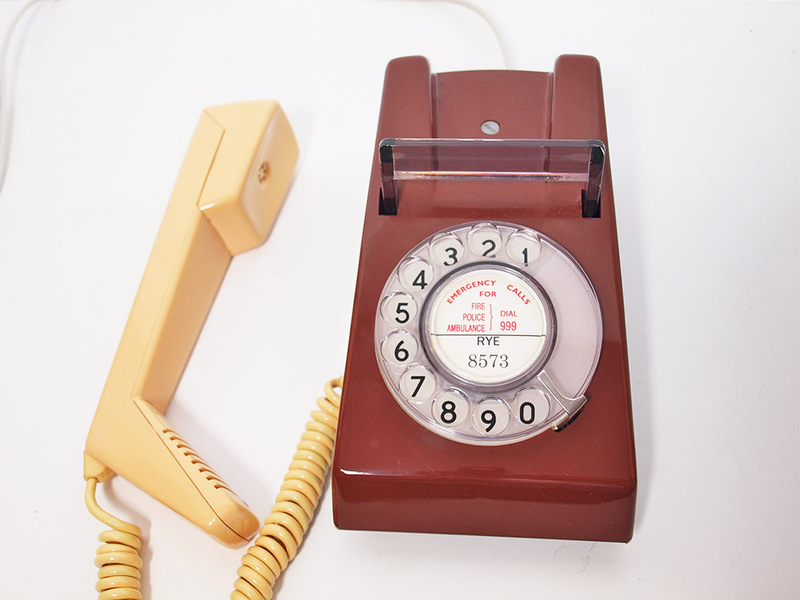 This Trimphone has a very distinctive warbler and this can be set to loud or soft. It has of course been cleaned and polished. This one retains its original grey line in cord with curly section. I can make a label with your information and so on checkout fill in the dial label info.